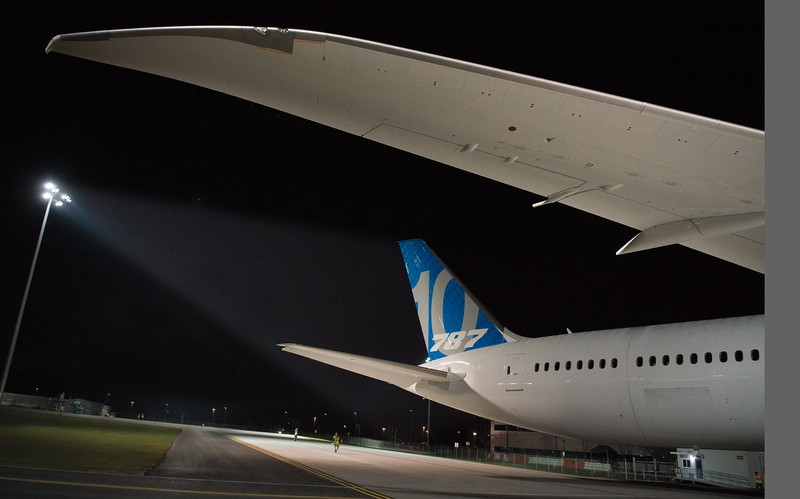 The team behind the 787-10 shares a journey of pushing ideas further—and the bar higher. 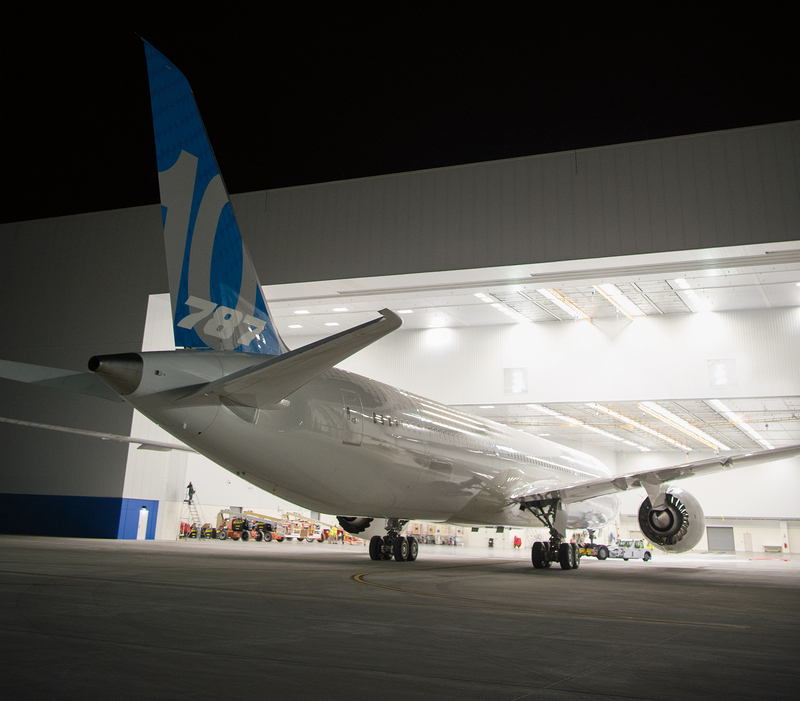 The 787-10 Dreamliner’s completion and unveiling represented one of Boeing’s most significant developments in 2017, demonstrating raise-the-bar efficiency by teams across the company. Customer demand called for a Dreamliner with increased capacity, to ferry up to 40 more passengers on a majority of the world’s long-range routes, and Boeing engineers and mechanics finished the design and assembly of it in a manner that was unparalleled, program leaders said. 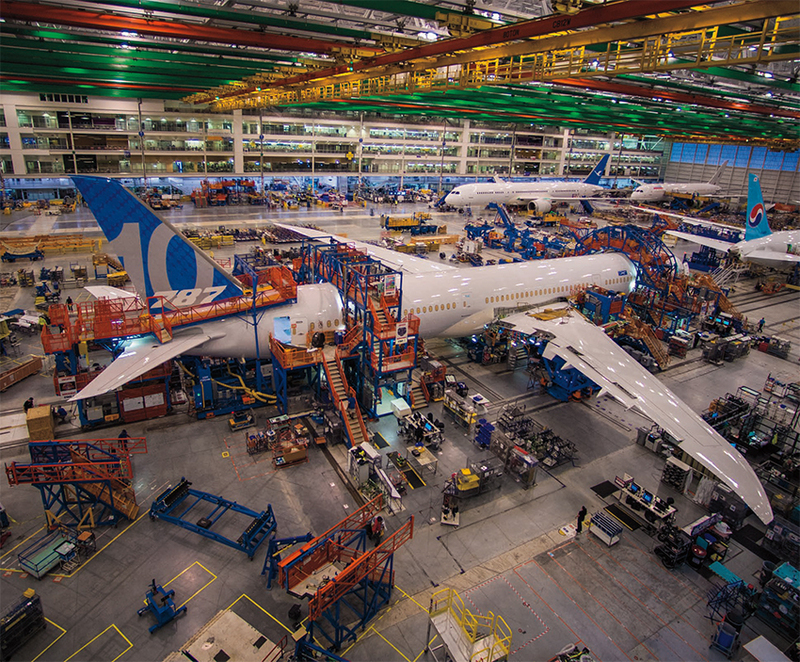 The 787-10 team met or exceeded each of its manufacturing deadlines, moving up milestones a week or more at a time. First flight occurred five weeks earlier than planned. Buffer days set aside for assembly went unused. Boeing engineers faced an 83 percent design commonality between the 787-10 and the 787-9 variant at the outset. Leaders tasked them with a goal of reaching 90 percent. They exceeded 95 percent. Engineers finished their work six months early. Employees built necessary tooling and subassembly parts well in advance of final assembly and made them readily accessible on the production line. 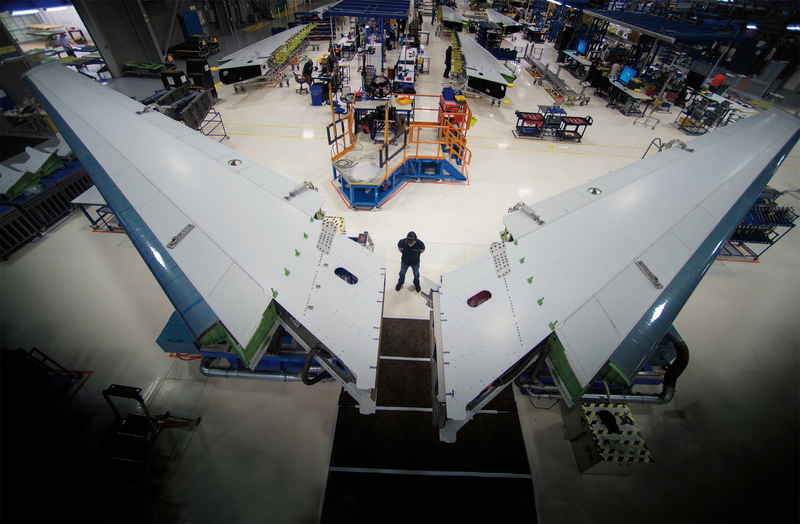 Suppliers in Japan, in Italy and in Wichita, Kan., got a head start in manufacturing the fuselage sections and wings. Among supporting Boeing sites, Everett and Moscow offered key engineering contributions, while the Salt Lake City area and Winnipeg, Canada, together supplied the flight-deck console, horizontal stabilizer, vertical fin and landing gear doors, demonstrating international collaboration. Boeing engineers in North Charleston, S.C., drew principal responsibility for the aft-body design. 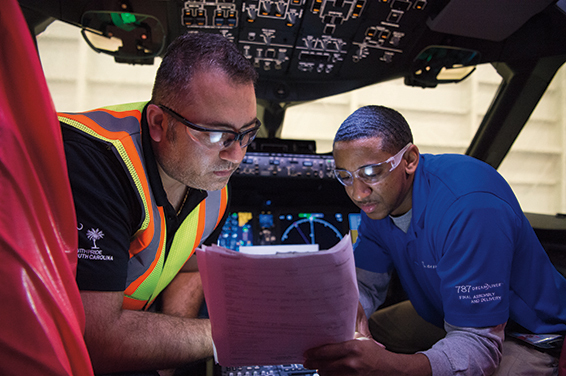 From the Everett engineering offices to the North Charleston flight line, employees pointed to cohesive planning and teamwork, as well as lessons learned from the 787-8 and 787-9, for the well-orchestrated production of the initial 787-10 Dreamliner. I’ve seen a lot of planes fly for the first time, but the 787-10 is a brand-new adventure, a brand-new journey. Imad Majid, a flight-test technician, has serviced all models of airplanes, including those built by Boeing’s competitors. He found the 787-10 unique, the composite wing extra nimble. I’ve been working on all Boeing airplanes since 1994, from the 727 to the 787, and this one is the most amazing—it’s a lot of technology. 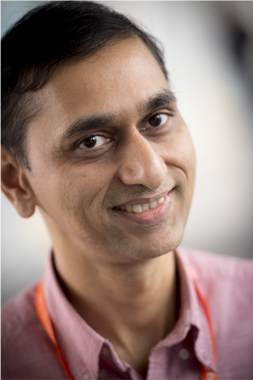 Ten years ago, Amit Bansal went from longtime seat supplier in the automotive industry in Detroit to working on the Dreamliner in Everett, Wash., because everyone was talking about this new airplane—and he wanted to be part of it. As a linings development engineer, he keeps the conversation going with the 787-10. The Dreamliner introduced a significant change in cabin pressure, lowering it to an altitude comparable to 6,000 feet (1,800 meters) rather than 8,000 feet, as in other jetliners. According to Boeing, this helps improve passengers’ sense of comfort, enabling them to feel more refreshed. 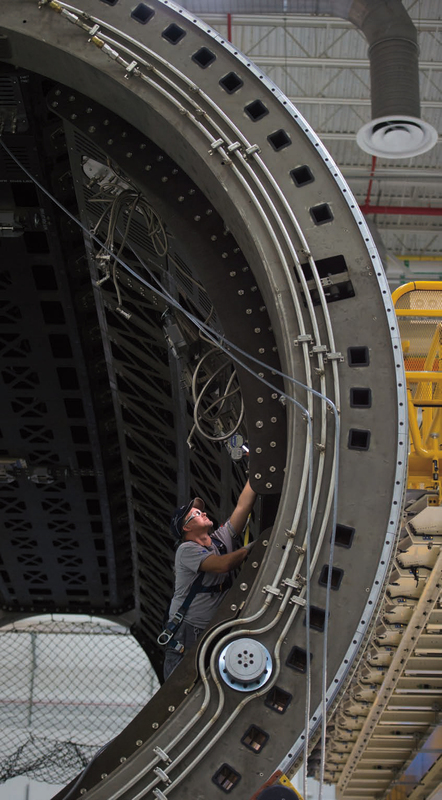 The Everett engineer and his team developed 787-10 sidewalls and doorway linings, overseeing and coordinating work done in four countries. It was a nice learning experience, each country has a different style and you have to work with different people to get the work done. We had excellent diversity on the team. A Boeing assembly technician for a decade, Allen Pytel works on 787-10 forward fairing and ducting after building landing gear doors. He drills holes, installs fasteners and applies sealant. Ducting requires the same configuration for each Dreamliner model, but the landing gear brought small changes, Pytel said. Airplane newness drew him to the 787-10. Watch more videos and related content here.